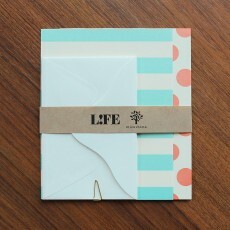 Founded in 1946 by Yasuhiro Saito, Life Co. Ltd manufactures high quality paper products. 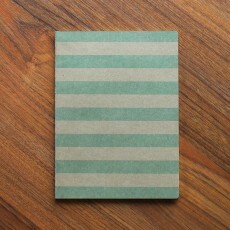 Their notebooks are glue-bound by hand and made in small workshops near Tokyo. 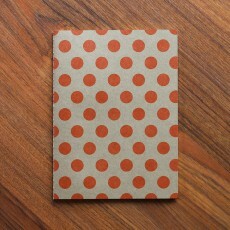 The paper stock used for the notebooks is incredibly smooth and perfect for fountain pens. The ink goes on smoothly without bleeding through the paper which makes Life notebooks very much sought after by stationery and fountain pen enthusiasts worldwide. 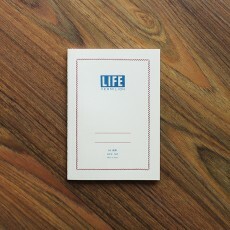 The LIFE Vermilion is a simple everyday-type of notebook using high quality, cream coloured paper.. 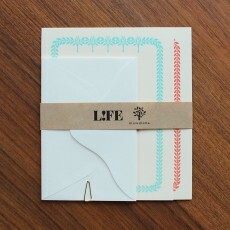 This letter set uses LIFE's original "L WRITING PAPER CREAM", which is smooth and suitable fo.. This 64 page notebook is designed in collaboration with Japanese stationery brand Mizushima. A5 s..